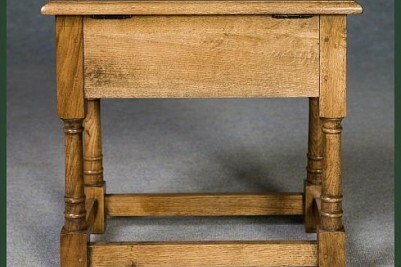 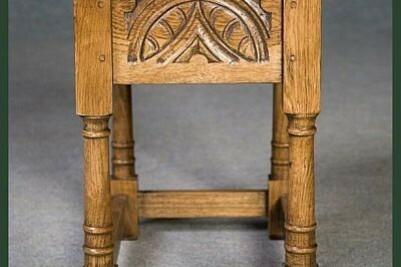 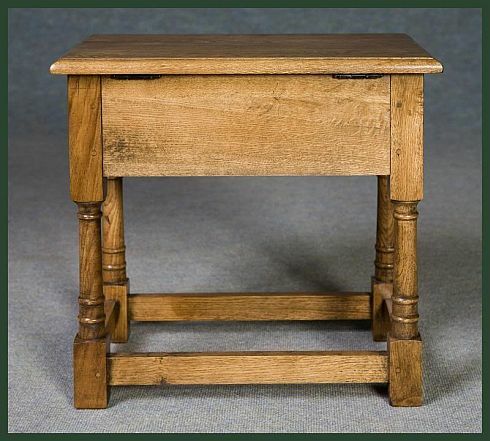 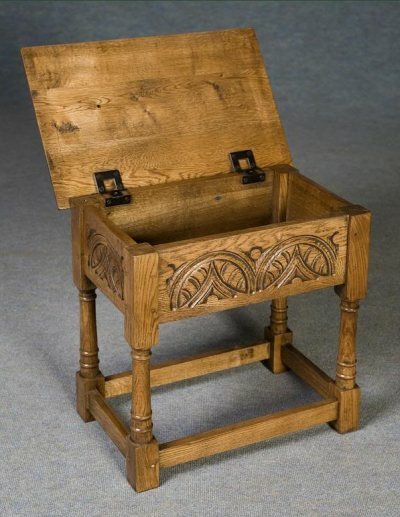 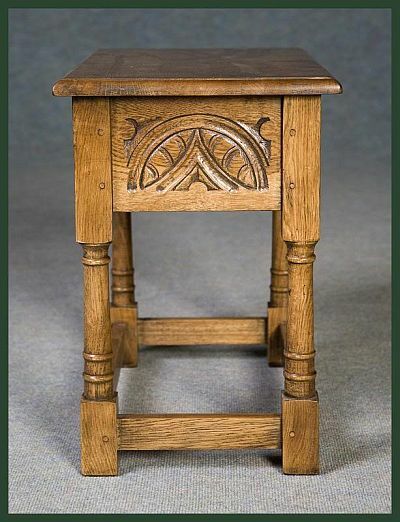 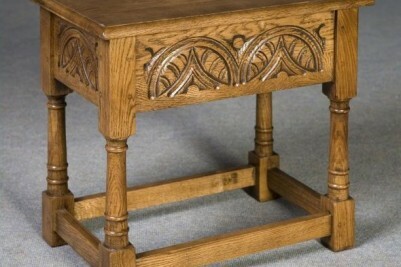 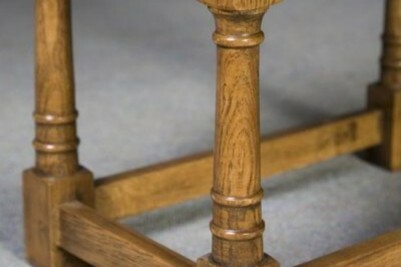 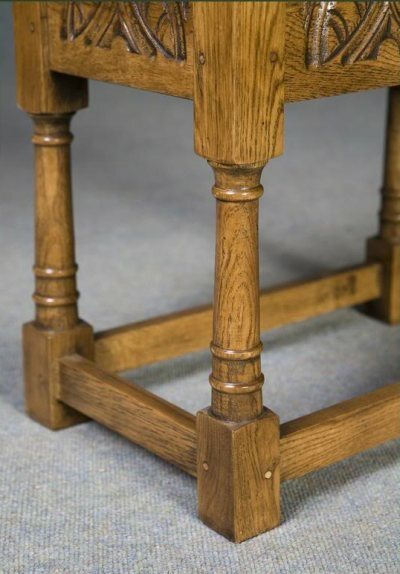 A wonderful hand produced and carved workbox or side table made of solid oak. 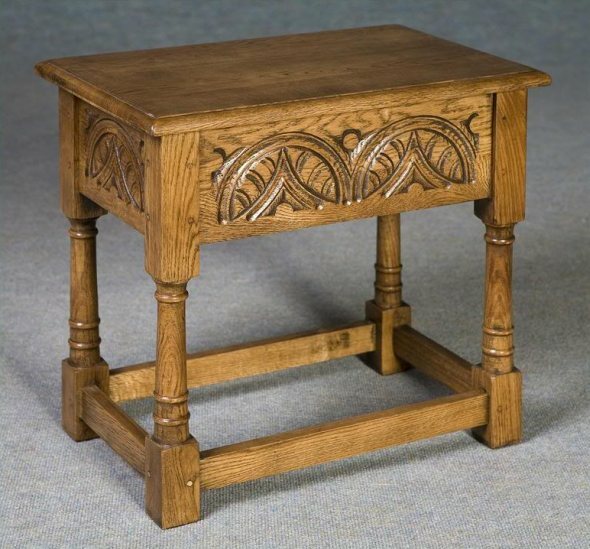 Manufactured using traditional methods, this magnificent carved workbox would feature perfectly as a hall or telephone table. 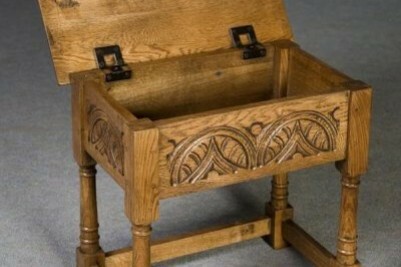 The top is hinged and opens to reveal a useful storage compartment, ideal for keeping sewing or craft items.